Dr. Euguene D. Stanislaus is proud to offer the advanced Chao Pinhole Surgical Technique, a suture-free, scalpel-free treatment for gum recession. Our state-of-the-art facility is designed for your comfort. 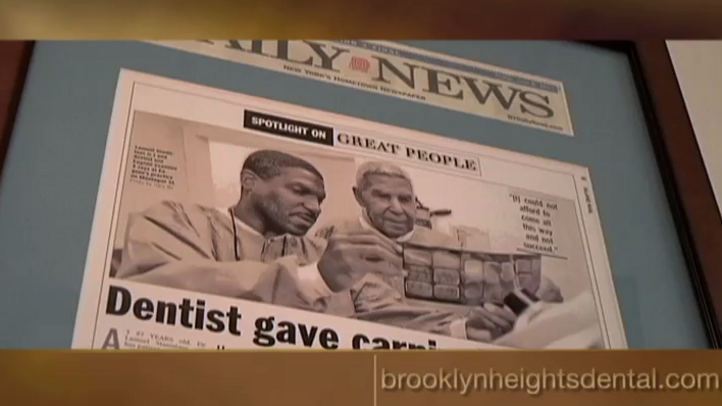 Brooklyn Heights Dental® has helped countless patients achieve optimal oral health since 1956. Dr. Eugene D. Stanislaus and Dr. Lisa Reid are highly-skilled, compassionate doctors who provide a wide range of dental treatments, including advanced restorative, general, implant, and cosmetic dentistry procedures. Our team is dedicated to providing the custom care you need at our warm, compassionate dentist office in Brooklyn, NY. Our commitment is to treat our patients just as we would treat a member of our own family. Our tradition dates back more than five decades. Dr. Stanislaus' father, Dr. Lamuel Stanislaus, initially opened the practice in 1956, just three miles from our current location. Our dedication today is the same as it was back then. At Brooklyn Heights Dental®, we are focused on delivering personalized care and exceptional treatments to help members of the community achieve the very best smile possible. Dr. Stanislaus offers all stages of dentistry care with a compassionate touch, supported by prosthodontist Dr. Lisa Reid, general dentist Dr. Michael Ricciardi, and his welcoming staff. We provide a full range of treatments to meet your varied needs and to help you achieve a smile you are proud to share. If you have lost a tooth but are looking for a longer-lasting solution than a dental bridge, Dr. Stanislaus offers dental implants. These titanium posts are anchored in the jaw, providing a stable foundation for restoration that can last for decades. By performing every stage of treatment at our office, from surgical placement to the attachment of the final restoration, we can provide reliable and convenient care throughout. For those who hope for a straighter smile but are put off by the thought of metal braces, Invisalign is a discreet alternative for orthodontic treatment. Not only are the transparent aligners nearly invisible against your smile, each one is made of a smooth plastic that does not irritate your cheeks and gums. Dr. Stanislaus can evaluate your smile during an in-office consultation to determine if Invisalign is the best fit for your needs. A combination of dental implants, porcelain crowns and porcelain veneers allowed Cathy to have the smile she always wanted. For your convenience, you can easily book your appointment online to begin transforming your oral health and smile.